Please take a few moments to fill out this Title I Parent and Family Engagement Survey. Your opinion is vital to helping us plan activities that best meet your needs. Thank you! 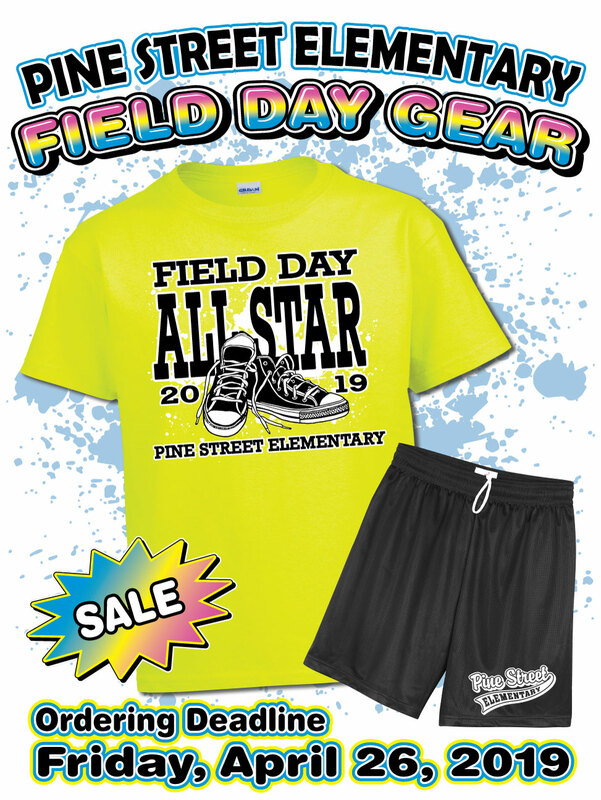 Field Day T-Shirts on Sale! Link here to order your Field Day T-Shirts today! Online orders are due by Friday, April 26th. Sign Up for a Parent Portal Account! Create your Parent Portal account with these instructions. Once you've logged into your Parent Portal account, follow these instructions to update student information, pay fees, and fill/sign forms online. Link here to access the portal to sign in if you already have an account. Forgot your Parent Portal username or password? Use the helpful links on the Parent Portal sign-in page (Forgot your password? or Forgot your username?). If that doesn't work, email me, Terri Anschutz. I'm the digital learning specialist for Pine Street Elementary.